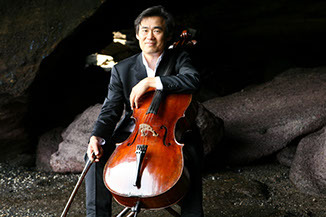 Biography: Cellist Sung-Won Yang has performed throughout the world as a soloist and chamber musician. He has given solo and chamber music concerts in prestigious venues as Alice Tully Hall at Lincoln Center in New York, the Salle Pleyel and Théâtre des Champs Elysées in Paris, the Concertgebouw in Amsterdam, the Terrace Theater at the Kennedy Center in Washington DC, the Musikverein in Vienna, the Opera City Hall in Tokyo, Symphony Hall in Osaka and the National Center for the Performing Arts in Beijing. His recitals have also led to other leading cities, such as London, Rome, Frankfurt, Madrid, Prague, Helsinki, Boston, Seattle, Tel Aviv, Shanghai, Sydney and many others. Born in Korea, Sung-Won Yang graduated from the Conservatoire National Supérieur de Musique de Paris and was assistant to Janos Starker at Indiana University in the United States. He was invited to be in the jury of the International Competition of Chamber Music in Banff, Canada, the International Cello Competition André Navarra in France, the International Cello Competition Cassado Japan and the Tongyeong International Competition in Korea. 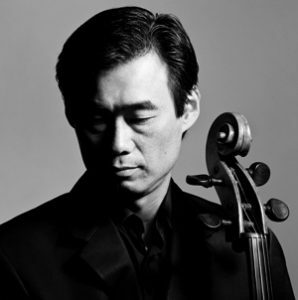 Recipient of numerous awards, he is currently a professor of cello at the School of Music Yonsei University in Seoul, visiting professor at the Royal Academy of Music and Artistic Director of the Festival Owon at Chateau de la Bourdaisière, in France.